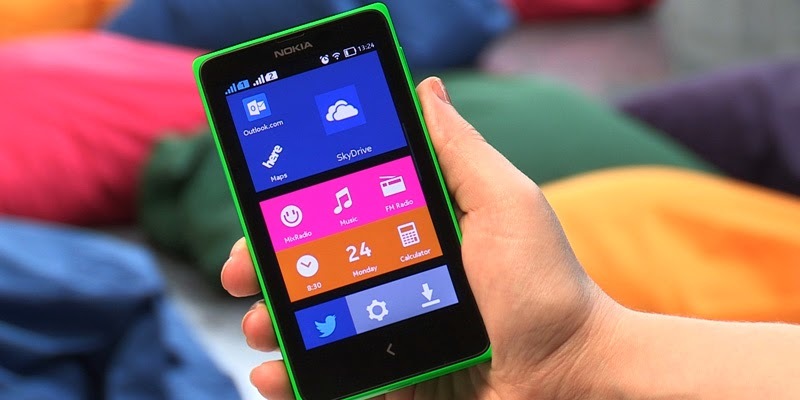 The most prominent feature of the Nokia X is the fact that it runs on a “forked” version of Android. Nokia took the open source parts of Android from the Android Open Source Project (AOSP) and built a new platform on top of it with signature Nokia and Microsoft experiences like a tile-based interface, Skype and OneDrive integration. Nokia’s chief executive Stephen Elop made sure to make it perfectly clear: the Nokia X is a gateway to Microsoft’s cloud, not Google’s. Indeed, the Nokia X lacks the Google Play store with its over million apps, it lacks Google’s Maps, Gmail, Chrome, Drive and all the others. Instead, it comes with a curated Nokia Store, which Nokia expects to curate hundreds of thousands of apps, and it will support third-party web store like the Yandex Store, popular in Russia. While you cannot directly install apps from the Google Play Store on the Nokia X, you can still sideload Android applications from APK files, so it should not be too hard to almost completely change the experience on the Nokia X to a stock Android one via one of the many launchers available out there. It also features Microsoft’s and Nokia’s suite of applications like Here Maps in lieu of the Google ones. In addition, Microsoft is throwing a Skype and OneDrive promo with Nokia X devices, giving away one month of free unlimited Skype service and 10GB of OneDrive cloud storage. 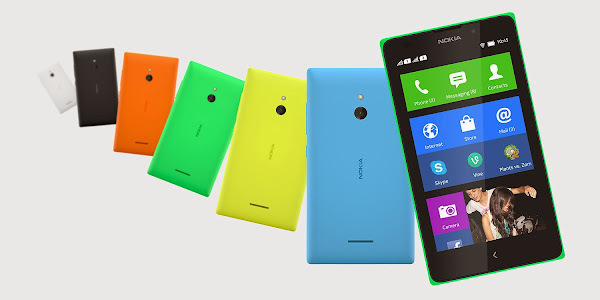 In terms of specs, the Nokia X is a decidedly affordable smartphone that impresses with price. It comes with a 4-inch LCD touch display with a 480 x 800-pixel resolution, 4GB of internal storage which can be expanded through microSD, a 3-megapixel fixed-focus camera, dual-SIM connectivity and a 1GHz dual-core Snapdragon S4 chip with 512MB of RAM. The device will be available in six colors, and all of them are typically vibrant and cheerful in a typical Nokia fashion. The Nokia X features only 3G connectivity with download speeds of up to 7.2Mbps. It also has a 1500mAh battery with quoted talk time of over 10 hours. The Nokia X will be priced at 89 euros and released immediately, launching in Eastern Europe, Asia, South America, and in other growth markets, but it won't be shipping to the United States, or Western European countries. The Nokia X+ specs include a 4 inch touch display, 4GB of internal storage which can be expanded through microSD, a 3 megapixel rear camera and a 1GHz dual-core Snapdragon 400 processor. These specs are identical to the Nokia X, but the X+ features lightly more RAM - 768MB. The Nokia X+ will cost 99 euros and will arrive in Eastern Europe, Asia, South America, and in other growth markets in the Q2 of 2014. The US will likely be left out again with the Nokia X+ which is no surprise. The Nokia XL is the largest of the three Android handsets with a 5 inch display. The resolution of the IPS LCD panel, at 480x800 pixels, which adds up to a 187 ppi pixel density. Under the hood, you'll find a 1GHz dual-core Snapdragon 400 chip from Qualcomm, and 768MB of RAM, which will hopefully be enough to provide a smooth experience on Nokia's fork of Android. On-board storage sits at 4GB, and is expandable with a microSD card for up to 32GB more. Nokia has also disclosed quite some details about the duo of cameras found on the XL. The LED flash-equipped, 5-megapixel rear-facing unit has a 1/4 inch sensor and aperture of f/2.8. Focal length is 32mm. On the software side, there are manual ISO and white balance controls, and the phone can take panoramic photos. The wide-angle, front-facing snapper, at 2-megapixel, doesn't sound at all bad, either, and it should prove more than sufficient for the occasional video call or selfie. The rest of the specs include Bluetooth 3.0 HS, A-GPS, and FM Radio, and a 2000mAh battery. Last, but not least, the Nokia XL has support for two SIM cards, which makes a lot of sense, considering that Nokia is targeting emerging markets. 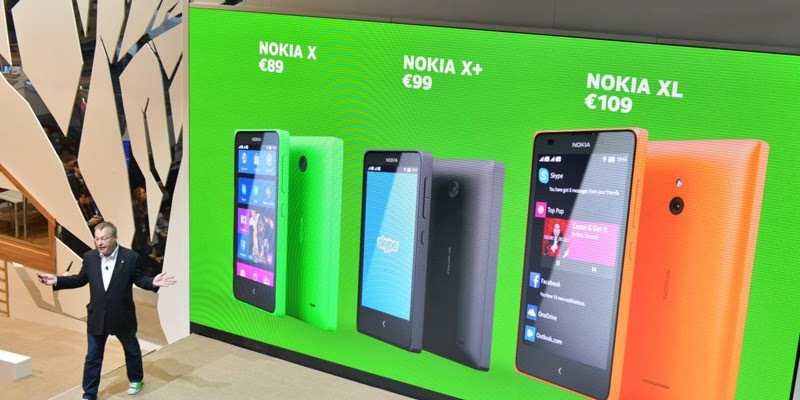 It also makes sense that Nokia has priced the XL pretty aggressively, at €109 ($150). The phone will be made available in Q2 2014, but the US is an unlikely target for the time being.